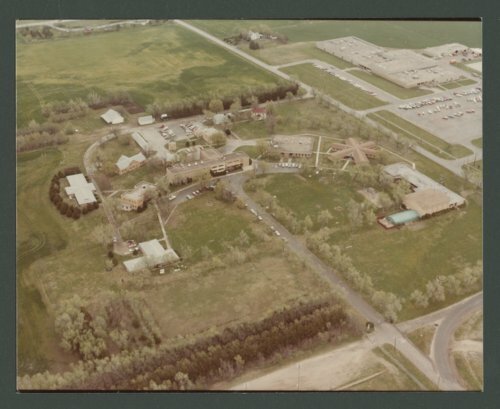 An aerial photograph of the Youth Center in Beloit, Kansas. Prior to becoming the Youth Center, the facility was known as the Industrial School for Girls. This school was started in 1888 by the Women's Christian Temperance Union but was later taken over by the State in 1889.